Tibetans Detained in Kardze Over Dalai Lama Photos - Integration Through Media ....! Authorities in western China’s Sichuan province have detained two Tibetan businessmen found in possession of photos of exiled Tibetan spiritual leader the Dalai Lama, amid a campaign begun earlier this year to combat “criminal gangs and bad elements” in the region, according to a Tibetan source. The businessmen, both restaurant owners at a place called Rimakor in the Kardze Tibetan Autonomous Prefecture’s Draggo county, were taken into custody earlier in June, a local resident told RFA’s Tibetan Service. “One of the men is named Yama Tashi, but the other man’s name is unknown,” RFA’s source said, speaking on condition of anonymity. “Both of them have been held in detention ever since the Chinese took them away,” the source said, adding that the images of the Dalai Lama were discovered during a police raid of the men’s homes. Police sweeps have recently taken place throughout Draggo, RFA’s source said. “Local government officials in Draggo have been carrying out a clean-up campaign against ‘criminal gangs’ and ‘bad social elements’ at the direction of higher authorities, and we are now seeing an intensified crackdown with tightened controls imposed on all Tibetans,” he said. Chinese officials have announced a ban on photos of the Dalai Lama, and conduct surprise inspections of homes in the Tibetan villages and towns, the source said. 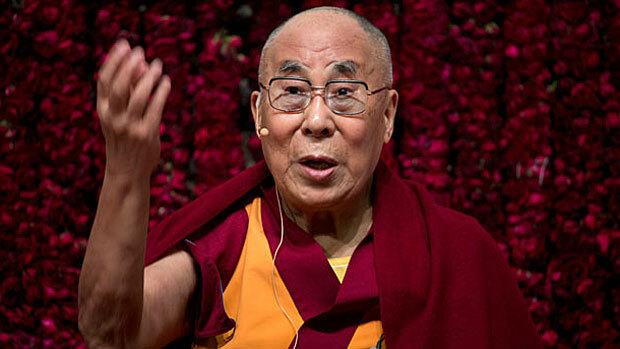 “They also order the Tibetans to cut any ties they may have to ‘separatist’ forces outside China,” he said. “Separatism” is a charge often leveled against Tibetans calling for greater cultural or religious rights in their historic homeland, now ruled by China. Other restrictions imposed in Kardze following the campaign’s launch in February include newly tightened controls over access to the internet and other communications channels, the source said. “And as the Dalai Lama’s birthday [July 6] is just around the corner, the Tibetans in Draggo have been warned against celebrating with religious observances such as prayer gatherings or offerings of incense,” he said. The Dalai Lama, who will turn 83 this year, fled Tibet into exile in India in the midst of a failed 1959 national uprising against Chinese rule, and displays by Tibetans of the Dalai Lama’s photo or public celebrations of his birthday have been harshly punished in the past.